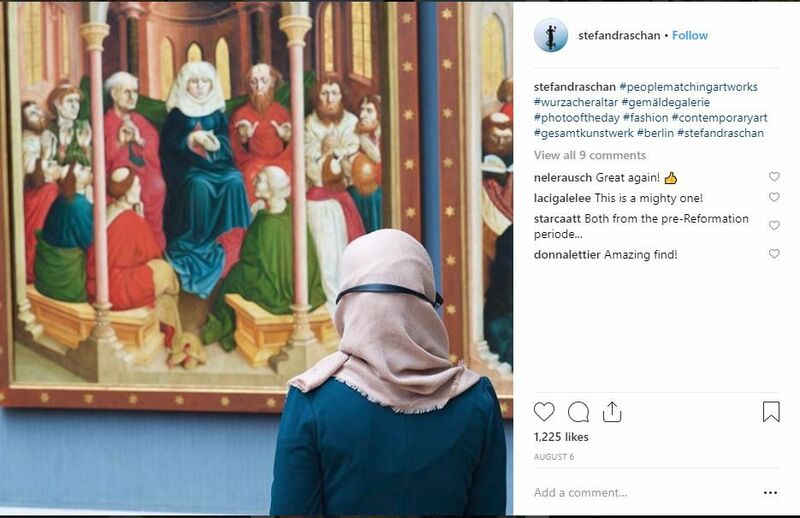 Mesmerised by the quaint charms of museums around the world, photographer Stefan Draschan found his muse ambling around them. Absorbing artwork beyond just fleeting glances, the artist seized the aesthetic encounters between art and its admirers. 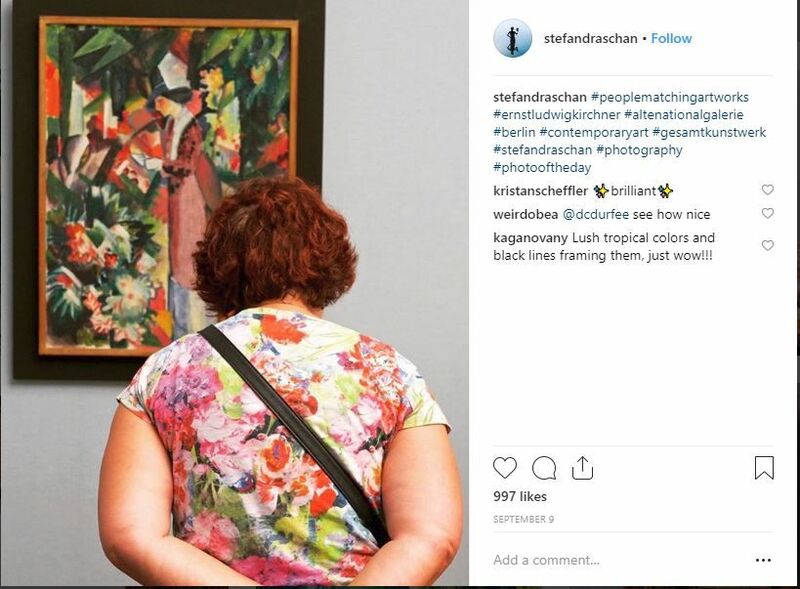 Churning out an interactive series, Draschan consumed time to capture ‘People matching the artwork.’ A series that integrates people unconsciously synchronized with oeuvre hung up on walls. Catching up with these coincides, the Austrian photographer embarked upon this art-voyage back in 2014. Wandering from the Metropolitan Art Museum in New York to the Louvre Museum in Paris and more, the artist roams with lenses hunting for art. Alerting his sight to watch out for nuances of hues and tones, patterns, postures and textures. 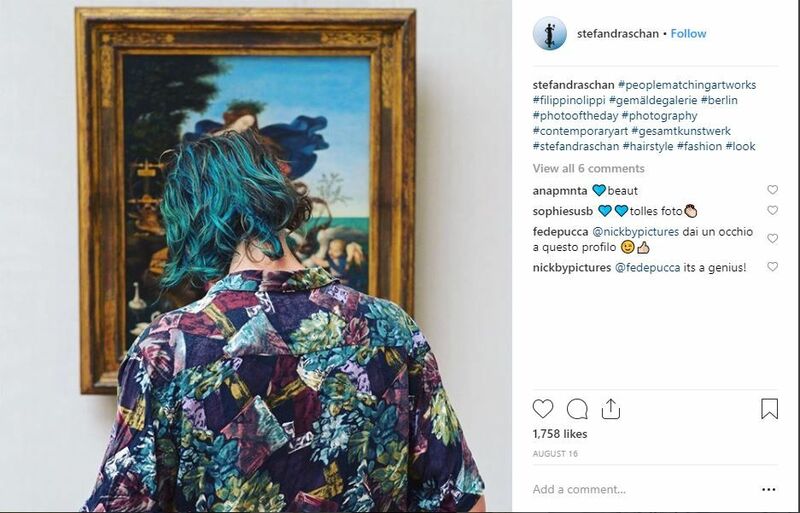 The European photographer who runs a Tumblr blog and an Instagram profile to put his art on display is trained to stay in tune with his surroundings. 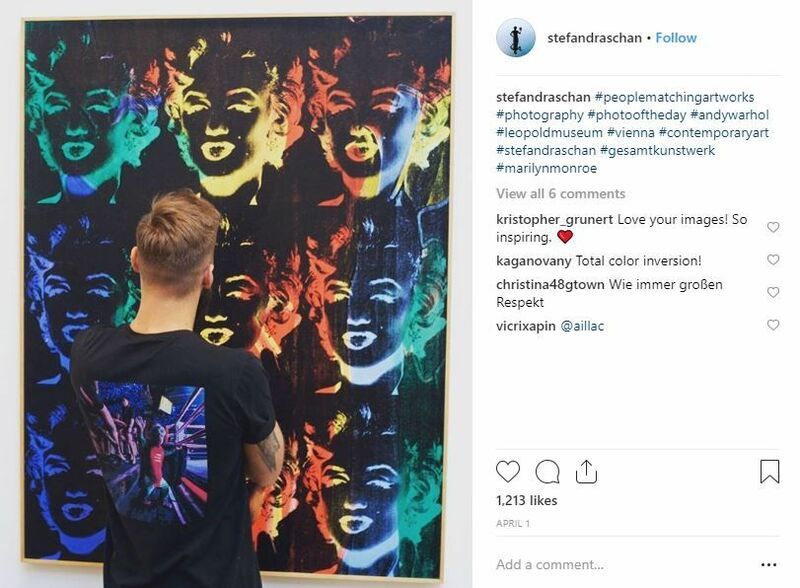 Draschan prefers to look out for matches of old art rather contemporary. These photographs ascend from moments least expected from someone’s movement to someone’s dress or accessories creating an extension and amalgamation of the art. 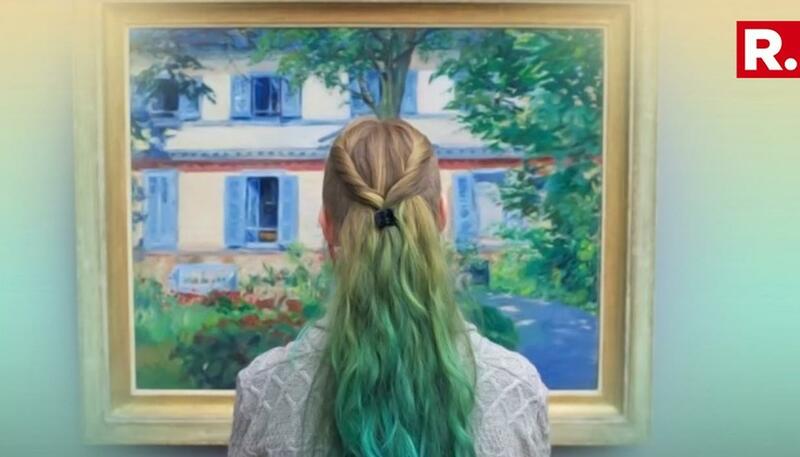 Along with his series ‘People Matching Artworks, the photographer also has ‘People Touching Artworks’, ‘People Sleeping in Museums,’ ‘Cars Matching Homes’ and ‘The Three Graces’ as his projects in his kitty. 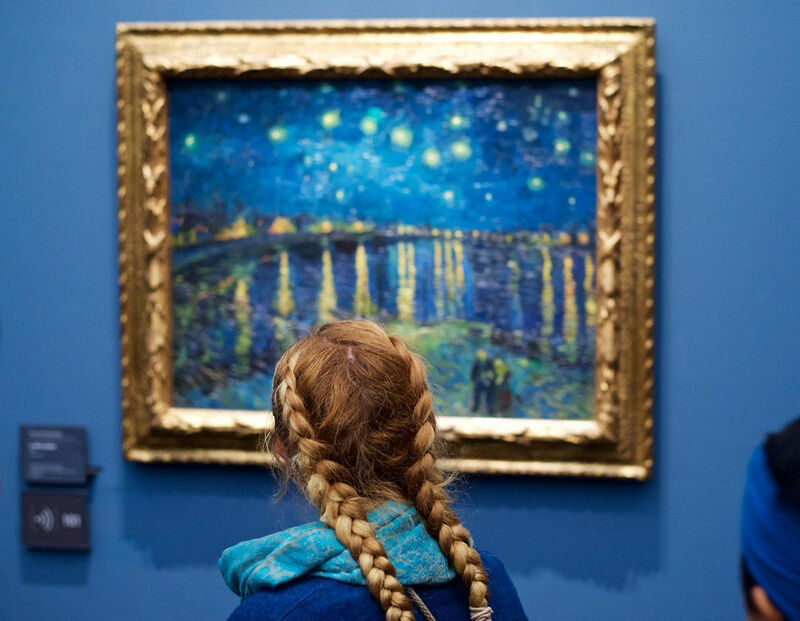 Finding art, beyond the already-present art around, the photographer endures his journey from museum to the museum- observing art and then creating some more of it. The artist who made museums his habitat made art everything from artistic and appeals to timing and observation of human behaviour. 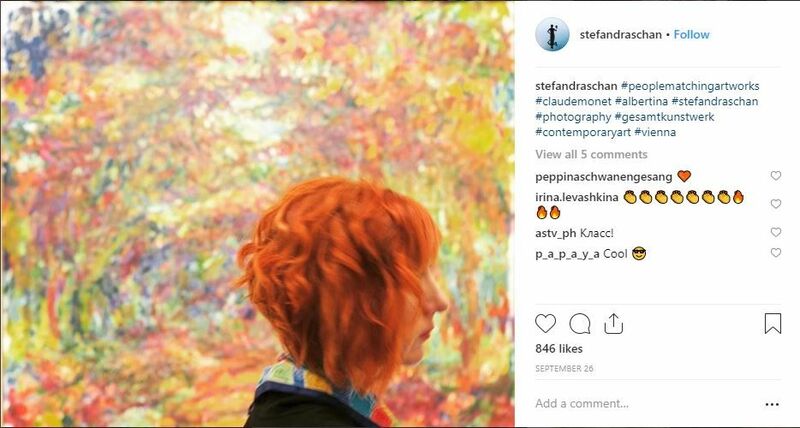 A calculative creator, Stefan Draschan found a way to enhance the art. GROSS: A woman has become an internet sensation by turning moose poop to art!